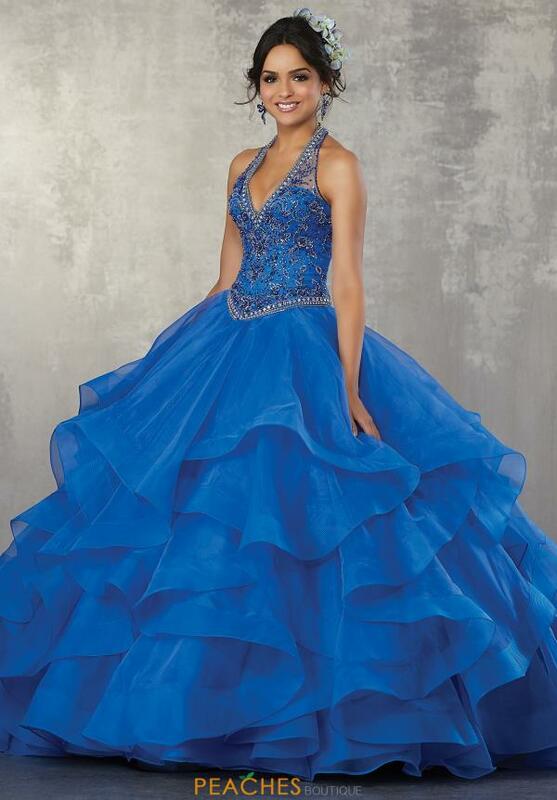 Take a look at this exquisite Vizcaya ball gown dress style 89164 that features a unique beaded halter top with a sharp plunging v cut neckline. 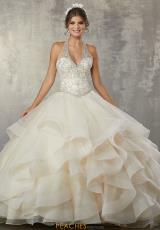 The long and ruffled skirt is made a full organza material that will give you a glamorous touch. 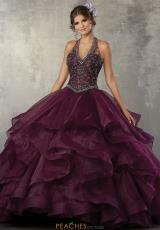 This dress also includes a matching bolero jacket to accent your look. Find this and more at Peaches Boutique Chicago.